The second week we are talking about Neo (NEO) and Neo Gas (GAS). We will go through the basics, core principles and of course explain the staking feature and aspect. Labeled as a distributed network for the smart economy it´s main focus lies on Digital Assets, Digital Identities & Smart Contracts. Who is the team behind Neo? Neo was developed by the chinese company Onchain, which is led by Mr. Da Hongfei. 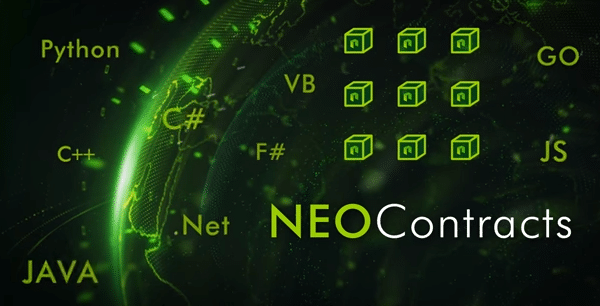 The project is now led by the Neo Foundation, who has founded some sub-organisations, is funding a few independent developer communities and is still running most of the few consensus nodes. All ever available NEO tokens were created at genesis. 50 million were sold through an ICO, which raised 17.5 million USD in 2014. Another 50 million NEO were held by the foundation. 15 million of these have been unlocked since late 2017 and are now slowly used to incentify developers and companies who support the Neo Ecosystem. Another 15 millions will be unlocked in late 2018, 2019 and the last 5 million in 2020. Neo was initially called Antshares and has rebranded since May 2017. Similar to delegated Proof of Stake (dPoS), every token holder can vote for individuals to be in charge of securing the network. Within the highest ranked individuals (nodes/bookkeeper) a new “Speaker” is randomly choosen every few seconds to create a new block. The speaker then broadcasts his version of the blockchain with the new block. If 66% of the other elected individuals agree with the information, consensus is achieved. Digital Assets are programmable assets that exist in the form of electronic data. With blockchain technology, the digitization of assets can be decentralized, trustful, traceable, highly transparent, and free of intermediaries. On the NEO blockchain, users are able to register, trade, and circulate multiple types of assets. Also physical assets can be represented as a digital asset on the blockchain. Proving the connection between digital and physical assets is possible through digital identity. Assets registered through a validated digital identity are protected by law. Digital identity refers to the identity information of individuals, organizations, and other entities that exist in electronic form. Users are able to digitize and trade their physical assets, because digital identity technology provides a manner with which a digital asset can be linked back to an actual entity and their physical asset. Digital identities also have rights on the NEO blockchain, however, this is only possible if a digital identity has been legally accredited on the Public Key Infrastructure (PKI), which is the most widely accepted digital identity system. The NeoContract smart contract system allows developers to build decentralized applications on the Neo Blockchain. Developers do not need to learn a new programming language, but can use C#, Java, Go and other mainstream programming languages in their familiar IDE environments (Visual Studio, Eclipse, etc.) for smart contract development, debugging and compilation. NEO’s Universal Lightweight Virtual Machine, NeoVM, has the advantages of high certainty, high concurrency, and high scalability. Neo is currently considering to add many more features to it´s protocol. Neo QS (Quantum Safe): A lattice-based cryptographic mechanism that is intended to stop the NEO blockchain from being compromised by quantum computers. Neo X: A Cross-chain Interoperability Protocol which allows transfer of assets between different blockchains. Actually Neo doesn´t have any staking implemented in the protocol. The incentive structure is even much more user friendly than for other projects. With each new block 7 GAS tokens are created. They get equally and automatically distributed between all NEO shareholders. There will be an annual reduction of 1 GAS per block, per year, to coincide with the passing of every 2 million blocks. The reduction will continue down to just 1 GAS per block and will be held at that rate for around 22 years. After the 44 millionth block the total GAS generated will have reached 100 million and from this point there will be no further generation of GAS from new blocks. The plan is then to distribute the GAS spent in transactions to NEO holders. How much to earn for holding NEO? The yearly ROI for holding NEO is currently around 5.3%. It varies on the price of GAS and the Block Reward. Our website stakingrewards.com is tracking the live ROI in a chart and is giving many more information about the rewards with NEO. With the Reward Calculator on the site, it is super easy to estimate the actual passive earnings for holding NEO. How to claim the Neo Gas rewards? 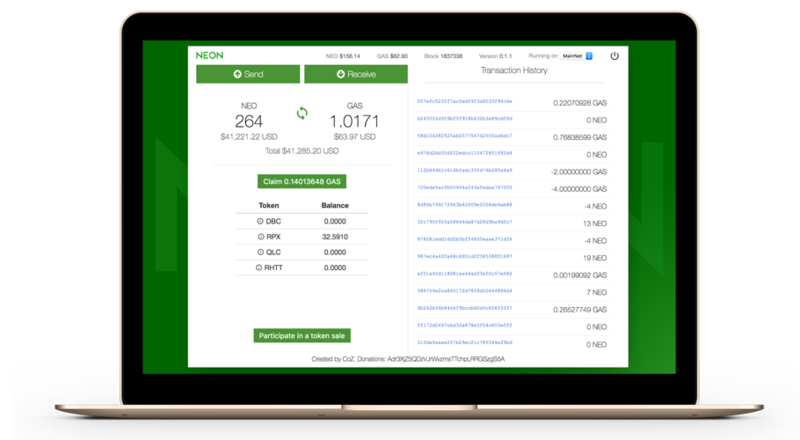 The safest way to automatically receive the rewards, is by holding NEO in the Neon Wallet or any other wallet where the private keys are individually owned. Inside the wallet there is button to say “Claim Gas”, which initiates a transaction to make the claimable Neo Gas available. Some exchanges might also distribute the rewards, but anyhow we do not recommend to hold any large amounts on exchanges. How often are Neo Gas rewards distributed? By holding NEO in the Neon Wallet, GAS can be claimed as often as required. The only known exchange which also distributes the Neo Gas rewards to the NEO holders on theit platform is Binance, which distributes it once a month.